See what others are saying about Chicago Women's Health. Passion, expertise and an open-minded spirit distinguish Dr. Eden Takhsh as a highly respected obstetrician / gynecologist. That prominence is reflected in his serving in key posts at Chicago’s St. Anthony and St. Joseph hospitals. Dr. Takhsh is Chairman of the Department of Obstetrics and Gynecology at St. Anthony and Chairman of Quality Assurance for the Obstetrics and Gynecology Department at St. Joseph. He is also on the faculty of Rush Medical Center. 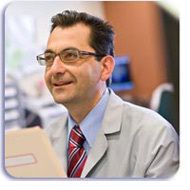 In July 2002, Dr. Takhsh (pronounced “tash”) established Chicago Women’s Health, Ltd., through which he helps patients experiencing a range of conditions. He was drawn to this area of medicine because it contains elements of internal medicine, surgery, psychiatry and mental health. In addition to delivering thousands of babies in his career, Dr. Takhsh has developed an interest in identifying and treating post-partum depression, menopause, contraception, menstrual irregularities, uterine fibroids and a variety of other women’s health issues. He is a firm believer in teamwork within an obstetrical unit, in which everyone takes responsibility for the patient’s welfare and strives to eliminate preventable injuries. In short, Dr. Takhsh empowers his team to give input in an environment of mutual respect. Throughout the process, the patient’s needs—not misplaced professional pride or rivalry—remain the primary focus. A staunch proponent of evidence-based medicine, Dr. Takhsh has a history of changing treatment options that he offers to patients in favor of new approaches when, through research in the medical community, they have proven to be even more effective. 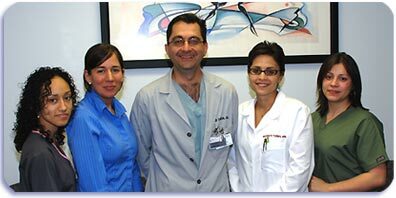 Dr. Takhsh is also a proponent of minimally invasive surgery through approaches such as laparoscopy and hysteroscopy. He also treats patients with office-based procedures known as Novasure, for heavy and irregular vaginal bleeding, and Essure, for permanent birth control. An inspirational high school biology teacher sparked the doctor’s passion for medicine, which grew as he gained a bachelor’s degree in medical science and earned his medical doctorate at the University of Edinburgh Medical School in Scotland. From 1993 to 1995, Dr. Takhsh served an internship in general medicine, obstetrics and gynecology at the Royal Infirmary in Edinburgh. He then moved to Chicago, where he held a residency in obstetrics and gynecology at St. Joseph Hospital from 1995 to 1999. From 1999 to 2002, he was an attending obstetrician and gynecologist with Women’s Health Partners in Chicago. Dr. Takhsh has been a licensed physician and surgeon in Illinois since 1997 and has been board certified by the American Board of Obstetrics and Gynecology since January 2002. Dr. Takhsh also speaks Farsi and Spanish. He is married to Lesley, a native of Scotland whom he met while in medical school. They have a son, Ramman, and a daughter, Rossana. Kim Alton is doing precisely what she aspired to do as a child—and her mother has the colorful first-grade drawing to prove it. A women’s health nurse practitioner at Chicago Women’s Health since November 2008, Alton began working as a registered nurse in 2000. After a brief stint at Mercy Hospital in Des Moines, Iowa, she worked for eight years as a labor and delivery nurse at St. Joseph Hospital in Chicago. In that time, Alton frequently worked bedside with Dr. Eden Takhsh, founder of Chicago Women’s Health and developed a high regard for his wealth of medical knowledge, his interest in research and evidence-based practice, and his commitment to treating patients with care and dignity. Likewise, Alton enjoys educating women and their families so that they are empowered to make informed healthcare decisions. That dedication led St. Joseph Hospital to select her for its Florence Nightingale Nursing Award in 2003. In her career, Alton’s duties have included providing direct inpatient care to infants and women in high-risk obstetrics, triage, labor and delivery, as well as in the mother-baby unit. Before joining Chicago Women’s Health, Alton also had 15 months of clinical experience. That work, covering parts of 2007 and 2008, included outpatient care at the Center for Women’s Health at the University of Illinois at Chicago, Planned Parenthood on Chicago’s Near North location, and Lakeview Women’s Health Care. She also provided inpatient care at the University of Illinois at Chicago Hospital. Alton has gained certifications in low-risk neonatal nursing and inpatient obstetric nursing, and completed a neonatal resuscitation program. 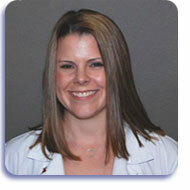 She received her bachelor’s degree in nursing in 2000 from Grand View College in Des Moines, Iowa. In May 2008, she received her Master’s degree in nursing from the University of Illinois-Chicago. A member of the Illinois Society for Advanced Practice Nursing and the Sigma Theta Tau Honor Society of Nursing, Alton resides in Chicago with her husband, Josh, and their two cats, Alabama and Farley.